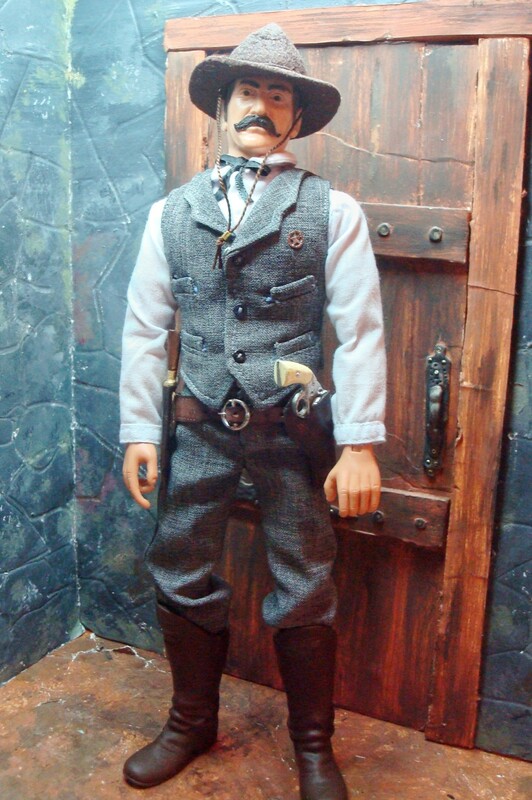 (June 5, 1850 – February 29, 1908) was an old west lawman,bartender, and customs agent who was best known for killing Billy the Kid. 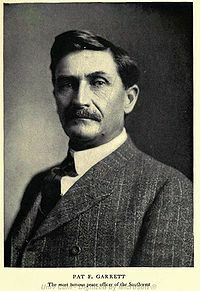 He was also the Sheriff of Lincoln County New Mexico. 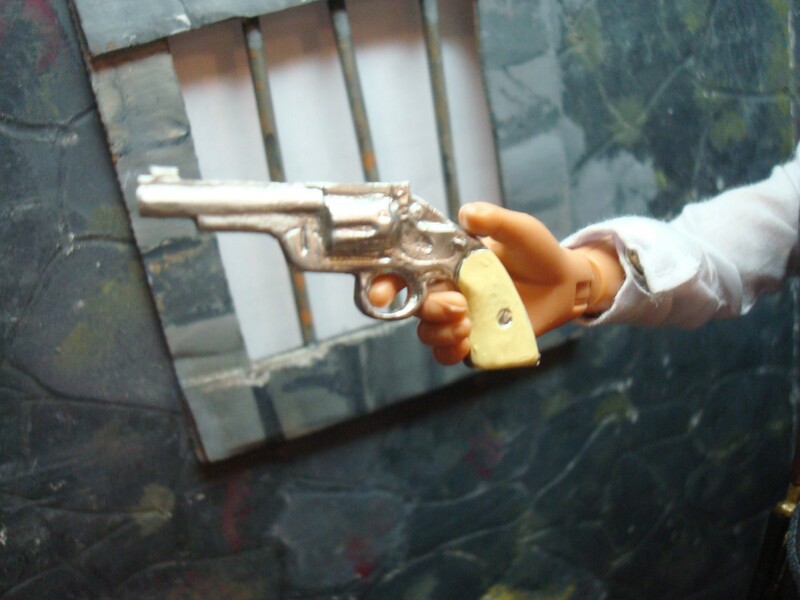 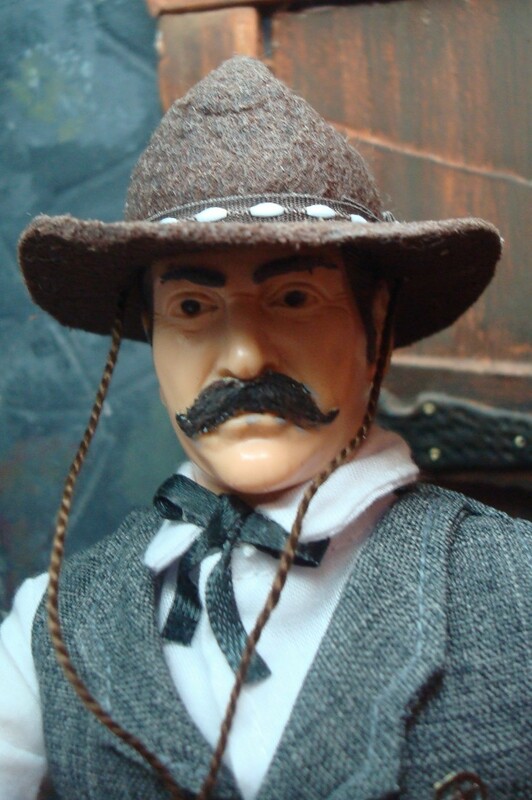 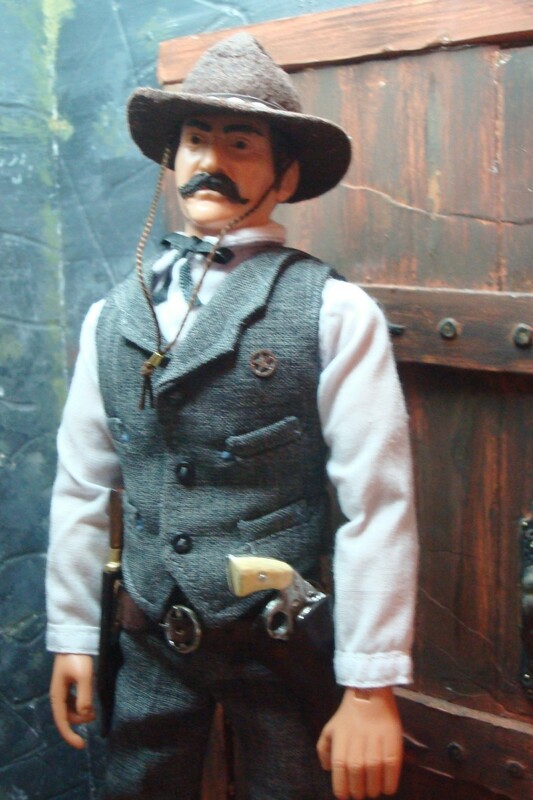 For this custom I used a MARX Sherrif Garrett Head, but added a more accurate moustache and painted his hair darker. 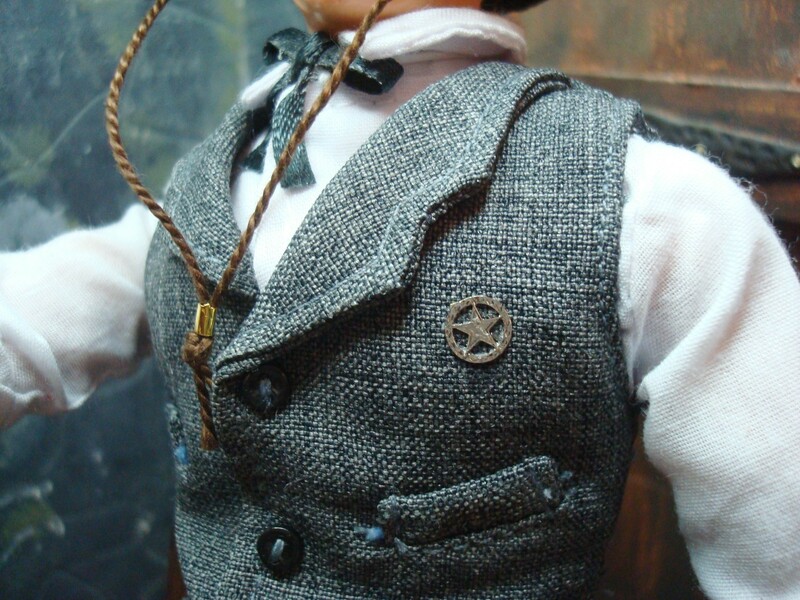 I customised the neck post by cutting it off just a bit and drilling it to fit a super articulated power team body. 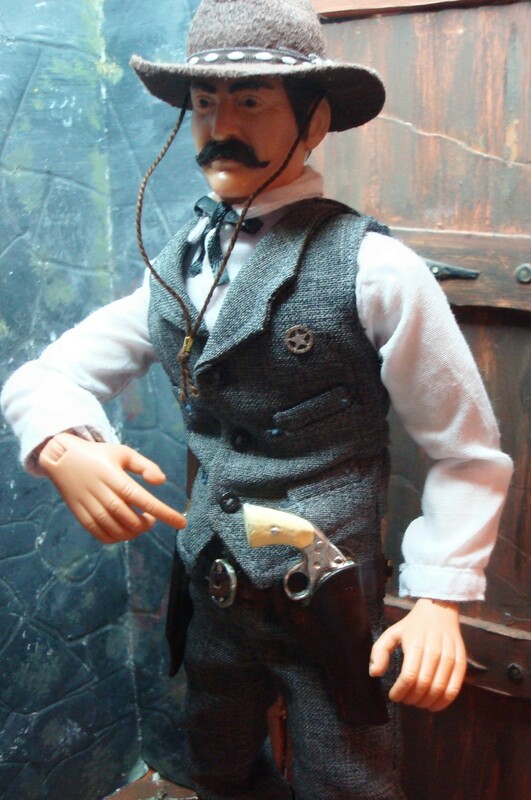 which Garrett actually carried, the star is a Rio Rondo concho glued on. 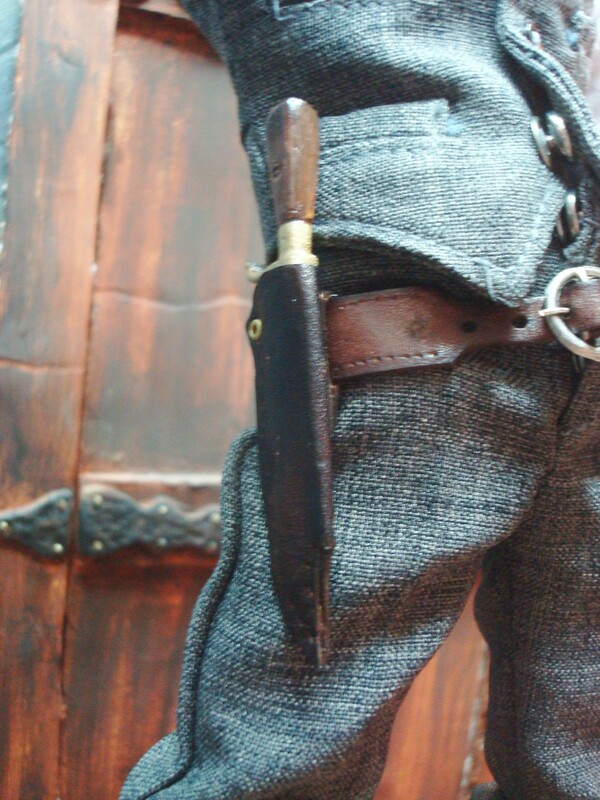 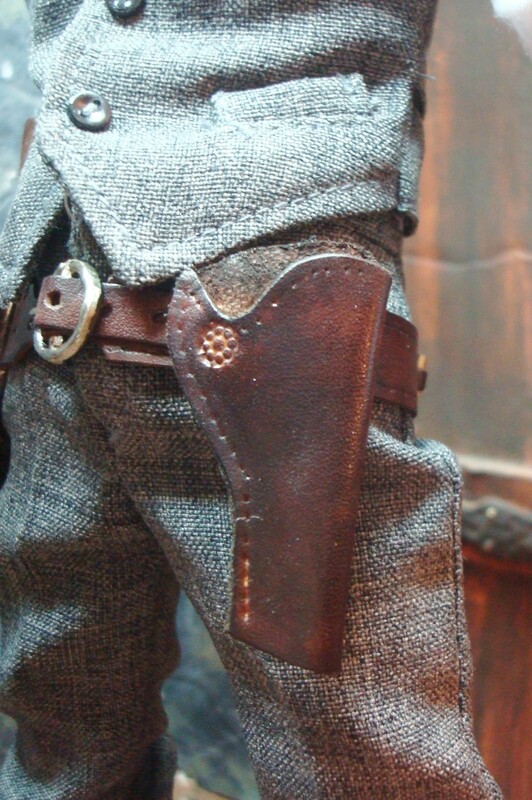 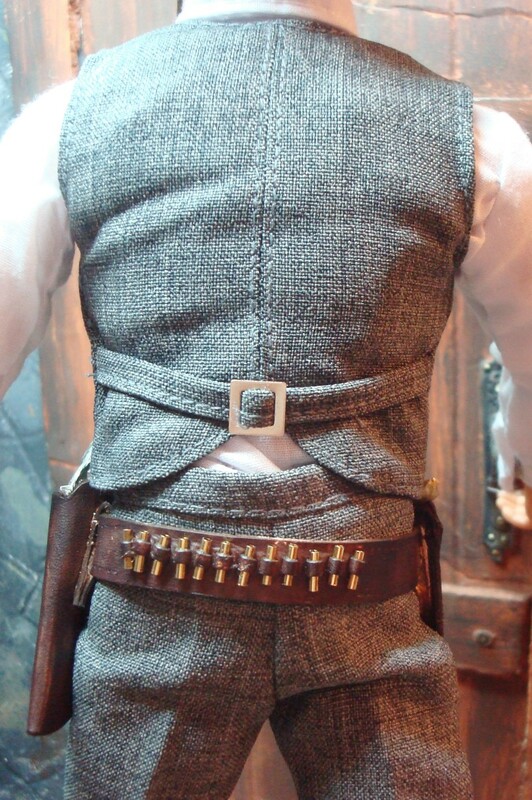 The rig is my "money belt style" with round buckle with a cowboy butcher knife in sheath on right and a cross draw holster for the Merwin and Hulbert.